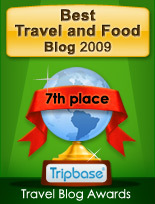 To make it easier for you, I have compiled all the hotels on Enjoy Food & Travel for the year 2010 on this page. Enjoy! Stanhope Hotel, Brussels: BBBBB- (4,82 points)When visiting Brussels in December 2010, I stayed at Hotel Stanhope, described as a boutique hotel decorated in English Country style. 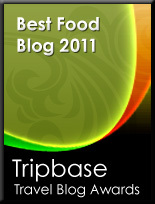 It certainly deserved all its five star rating, and it was the best hotel I stayed in in 2010. Terrific location, good service, and a great breakfast buffet was offered at Armada Hotel. Newly decorated and immaculately cleaned and maintained. 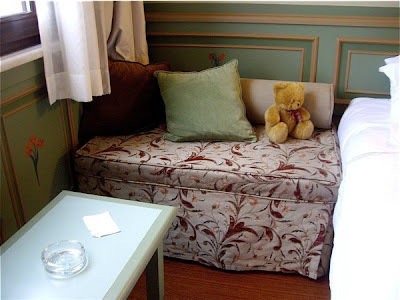 Armada Hotel is recommended by Enjoy Food & Travel. Still a great hotel in downtown Göteborg. Service in the bar has room for improvement, and I found the beds too hard for my taste. Dust in the room, minor needs maintenance and uncleaned windows led to a lower rating as well. Comfort Hotel Trondheim is a brand new hotel in the middle of the city. High tech, modern interior, relatively small rooms at a decent price. The hotel has few facilities and the breakfast could have been better. I looked forward to revisit Quality Hotel Grand in Kongsberg, as I remember it to be a well run hotel. Even though I got a large suite, I am afraid to say that it did not add up to a grand score. There were a few details that spoiled the experience. Prime location in the old part of Arendal and just by the water. We had decent sized room with a view over the Arendal city fjord. Few inhouse facilities offered to paying guests. Clarion Tyholmen Hotel is overpriced compared to what is delivered. Thon Hotel Polar offers good location and decent service to those of you visiting Tromsø, Norway. My room was small, badly furnished and dated and bath / shower room was in need of serious renovation. Average breakfast and satisfactory for those of you that just want to eat, but it had not that little extra to those of use regarding the first meal of the day as a feast. Ten years ago I had my first, and until now only trip to Italy. We started in the Cinque Terre area, then we traveled on to Florence and Siena in Tuscany, and ended up in Bergamo by the Dolomite mountains. After staying in a very spartan room in a 500 year old Florentine Palazzo, we stayed four nights in the cool elegance provided by Albergo Chiusarelli Hotel in Siena. If you want to visit Norway, and need cheap accommodation, avoid Bergen. The capital city of Western Norway is on top of the list of expensive Scandinavian cities if you need a bed for the night. We (i.e. me and two friends) have serious plans to go to Marrakech this winter. This will be my second visit to this beautiful city. I have already started my research on where to stay. Our brief is - top standard, good location, and a (heated) swimming pool at lowest possible price. Unless we choose to revisit the Eden Andalou Spa & Resort, that is! Here are a few inexpensive alternatives to the most expensive accommodation in the Norwegian capital. Oslo old central station will reopen as hotel with 160 rooms in 2012. Original window frames and glass will be restored, as well as period furniture and painted commercial posters from the 1880’s. When revisiting Marrakech, I ended up wondering where to stay on my second visit. The alternatives were, once again to book a resort outside the city, or to choose a classic Riad or guesthouse in the Medina. Sunday November 14th 2010 is the date of christening of my grand-nephew born earlier this summer. As young Eivinds parents live in Trondheim, I have already booked a room at Comfort Hotel Trondheim, the city's newest hotel. After a long complicated evaluation of hotels in Marrakech, we finally chose to book one week at Eden Andalou Spa & Resort. When browsing the hotel website, I cannot wait to get there. Losby Gods is a stately home converted into one of the best hotels in Norway. It is located less than an hour away from Oslo city centre and is a wonderful blend of old and new. Enjoy Food Travel Co-writer Dagfinn Skoglund has just been to a two weeks stay in Tunisia. He stayed at Marhaba Palace in El Kantaoui. He gave feedback on this hotel on tripadvisor a few days ago. He was very content, as he awarded it a full top mark. With his permission I give his review on Marhaba Palace here on Enjoy Food & Travel. Three new hotels will be opened close to Oslo Airport 2010, making it easier to find affordable accommodation close to Norway's largest airport. Oslo among 10 most expensive hotel cities worldwide Oslo hotels ranks among the 10 most expensive to stay in. This according to a report on average prices on accommodation around the world issued by the British Hogg Robinson Group. Three years ago I stayed overnight at Quality Hotel Tønsberg. At that point this boat-shaped hotel was brand new. Quality Hotel Tønsberg enjoys an excellent location in downtown Tønsberg with a view of the harbour and within walking distance to the city's restaurants, sights, and shopping area. If traveling to Marrakech it is absolutely worth considering to stay in a Riad. These smaller hotels located in the Medina, the old part of the city, has a particular magic. Behind often old, decaying facades you will find beautiful secluded courtyard with rooms on each side. Norwegians have more or less been spared the effects of the ongoing recession. This thanks to riches created by the abundance of oil produced in the North Sea. Just outside our room at Eden Andalou Spa & Resort we found two Riads, enclosed open-air spaces.